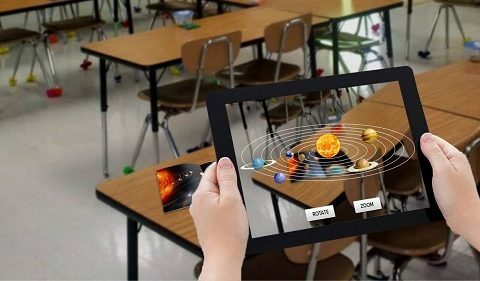 The use of augmented reality in the field of education is a boon. The AR is working as a renovation on the house of education inside out. There are numerous numbers of education applications available in the market (thanks to the technology) from which not only students but the teachers are also learning. The future of AR in education is colourful and full of endeavours. Just imagine, the students don’t need to mug up the concept of physics or chemistry if they have education apps on their phones. Anyone learns faster if it is shown in an interactive format and if it is in 3d, then the battle is won. The future of AR will be more fun to learn where the burden of the books will be transformed into just a swipe of an app. By creating dedicated apps, we can explain what not complex concepts to students and they will happily learn by fun. As of now, we have many apps which use interactive graphics to explain topics, but when we have a proper AR setup, the learning level will be on whole different level. This is amongst the most proficient uses of augmented reality in education. Schools are adopting the concept of audiovisual classrooms rapidly, and soon they will switch to full AR classrooms as more resources are available in the market. As so many companies including the 3d Spectra Tech is working on various Augmented Reality applications to make our lives more productive and curious. Many companies are working on the development of an entire real-life problem-solving puzzles modules which will help students to think and react quickly to make correct decisions. These activities are better than any other activity where the students are interacting with each other and solving problems and quizzes together. 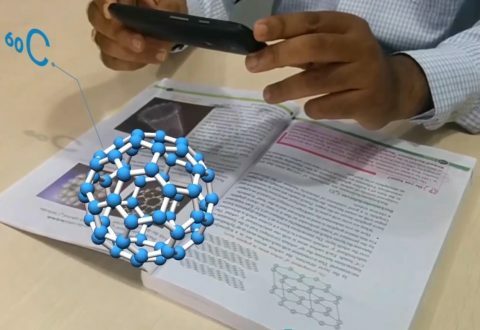 The applications of augmented reality in the education domain is growing rapidly. If you also have some good AR based idea which can contribute to the education of children, then you can definitely check out our extensive range of AR services which covers your all requirements. 3d Spectra Tech is a pioneer in 3d printing, AR, modelling, CAD and many more to cater your every need with sheer perfection.